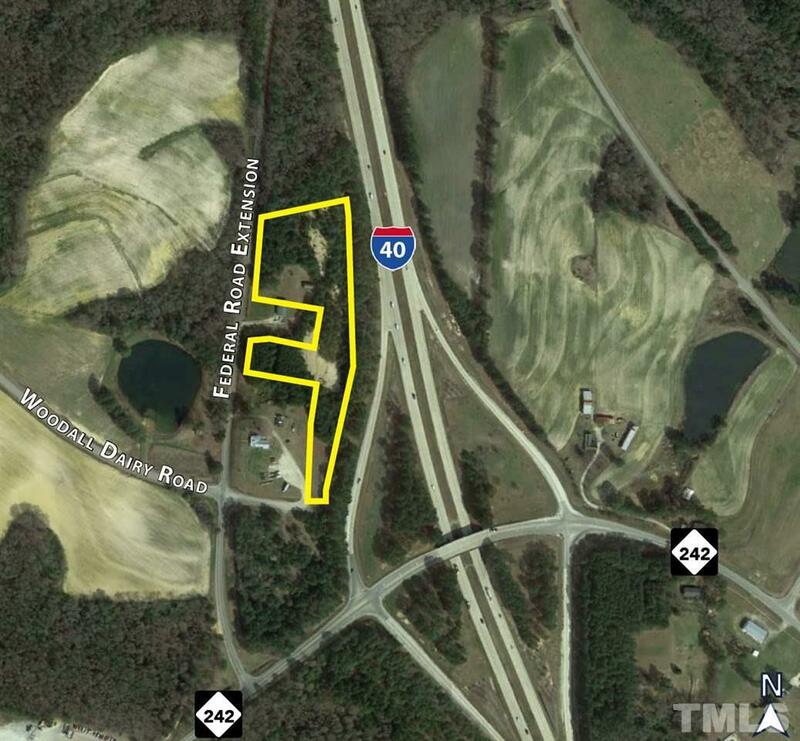 7.64 acre parcel located off I40/NC 242 interchange in Johnston County and 3 miles north of I40/I95 interchange. Easy accessible to Raleigh, Fayetteville, and Wilmington. Flexible Interstate Highway Interchange (IHI) zoning. Permitted uses include , contractors office with storage materials and supplies, contractors office with storage yard, ,open storage, warehouse f facility, and wholesale establishment County water at the site and soil evaluation completed for onsite sewer system.